commissioned work . . . I HAVE NEVER TRAVELED to Europe, except through the amazing blogs of those I follow. The countries I have had the privilege of visiting have been confined to Canada (10 of the 11 Provinces); The United States (45 of the 50 states); Israel (1989); Taiwan (2002); and The Philippines (2003,04,05). 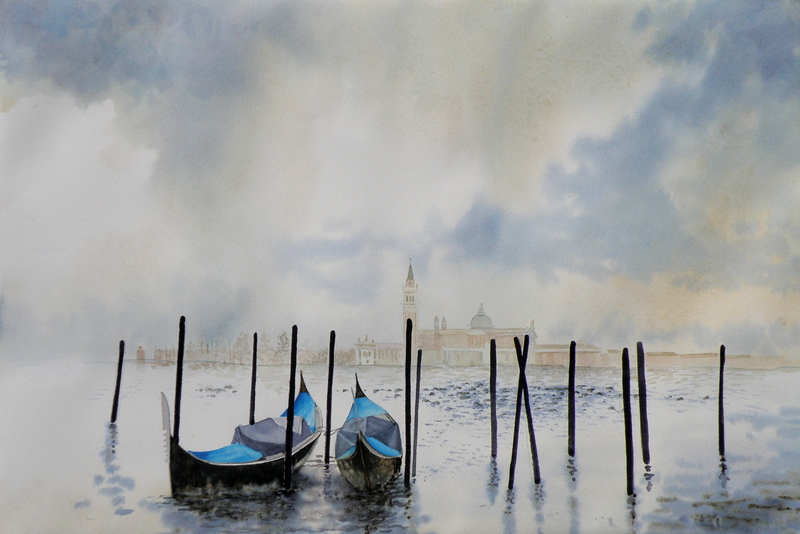 OUR FINANCIAL ADVISOR’S FAMILY comes from Italy and she went to visit the cities and places which mean the most to her, and asked me to paint a watercolour based on the photos she provided me with upon her return . . . IT WAS A PRIVILEGE being able to work on this scene for it allowed me to be there, even though I wasn’t (smile).